Vintage Blanket foxes are handmade to my own design from vintage NZ wool blankets that I have felted. 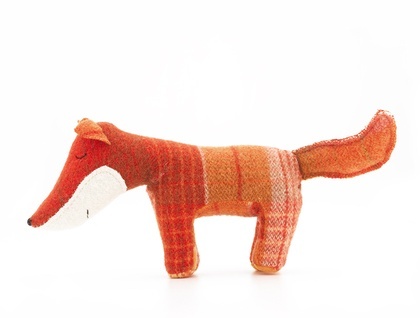 Each fox has hand stitched sleepy eyes , a bushy tail, and little black hand stitched nose. Foxes can stand up by themselves and look great on a shelf when they are not busy doing what toy foxes do. 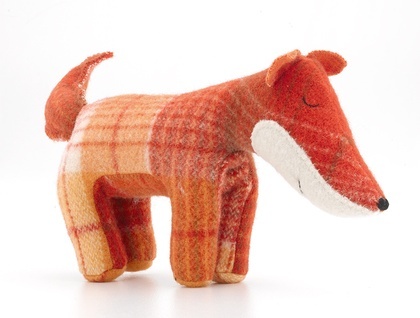 Fantastic Foxes are completely baby safe and stuffed with new polyfill. Length from nose to bottom ( not including tail) 28cm. Please see my other listings for other blanket animals including Ellie Elephant, maddy mouse, blanket bears, lions and more.